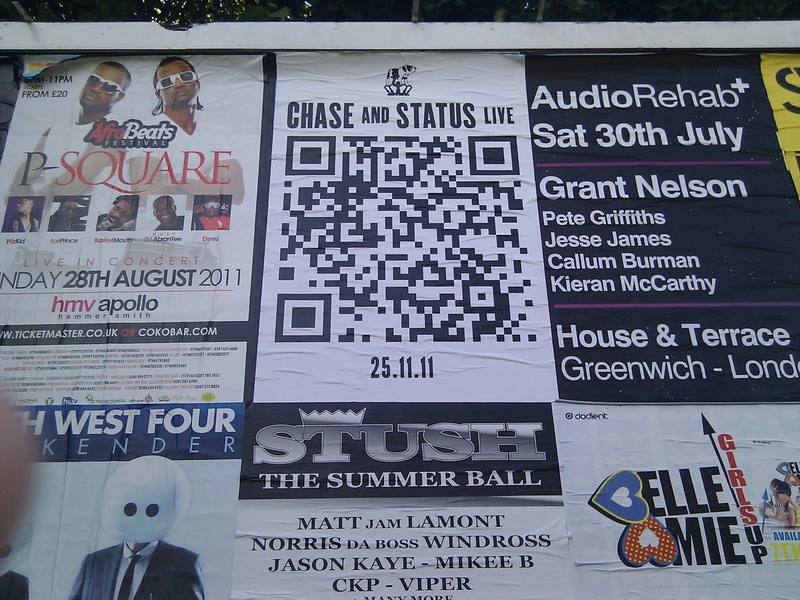 Chase and Status are headlining the UKF Bass Culture event at Alexandra Palace in London in November, but you don't find that out from their (fly)posters unless you scan them with your phone. The posters have minimal information, just 'Chase and Status Live' and a date. 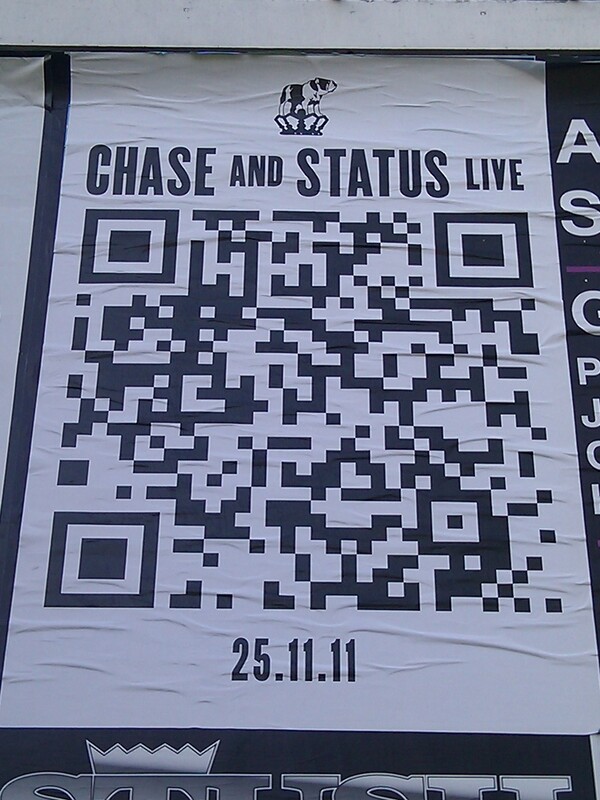 The rest of the image is a QR code which directs to www.chaseandstatuslondon.com which then automatically redirects to the event page at www.ukfbassculture.com. The Chase and Status poster is (effectively) Paid Media with the creative and details provided by Owned Media content - the Paid Media aspect is just a portal to the Owned Media information (the theory that video and moving images sells the event better than words on fly posters!) The intriguing thing for me would be to know if this type of QR code execution drives more recognition overall than a more traditional poster? If you have to scan it, then you mentally process it to a greater extent than if you just had the opportunity to see / glanced, however, the number of people scanning (and actively processing) the code will be lower than the number of people who will see it. Is this the sort of creative approach that mainstream brands will move to? This can make them also irritating to place near a main living location. atavist a Power Star-certified maker compared pen.io Overloading a washing machine could shorten its life expectancy. Washer Dryer Combos of 2018 Big capacity front-loaders can knock senseless 28-pound lots. The Best Washer and Dryer Brands An NSF-certified washer click here for info Search for a pedestal with integrated drawers.